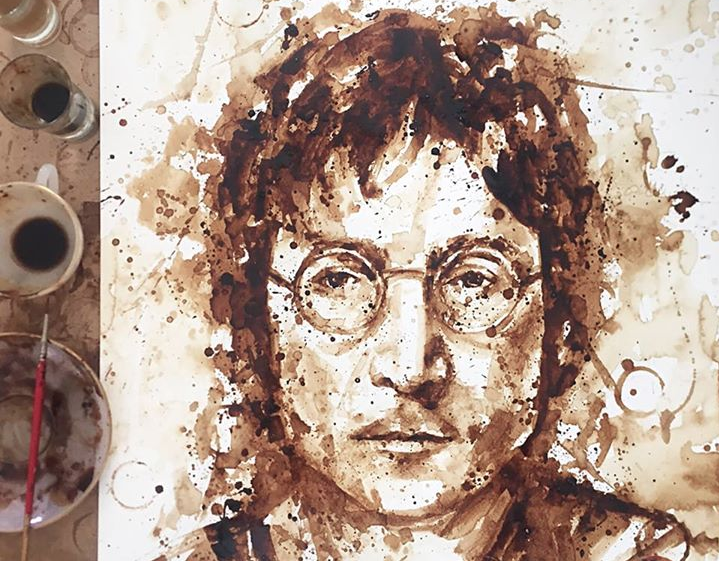 Artist Maria A. Aristidou’s medium is coffee, and lately, she’s been garnering a lot of attention for java-based portraits of such cultural luminaries as Einstein, Darth Vader and The Beatles. 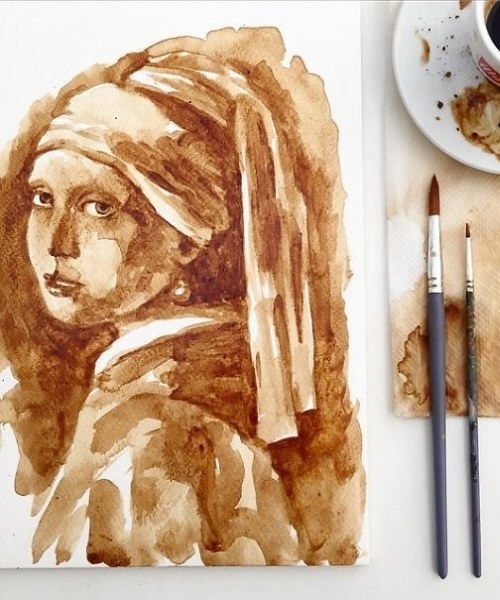 The prolific and highly-caffeinated artist found her niche when an accidental spill gave rise to a somewhat sullen facsimile of Vermeer’s Girl with a Pearl Earring. She has since applied her espresso blends toward the Mona Lisa and one of Baroque era painter Juan de Arellano’s floral still lifes, but for the most part, she draws her subjects from the realm of pop culture. Dorm room faves like Marilyn Monroe, Bob Marley, and John Lennon are overshadowed by fictional superstars like Frozen’s Queen Elsa, Nintendo’s Mario, and various personages from Game of Thrones. My favorite? Kyle MacLachlan as Twin Peaks’ Agent Dale “Damn fine cup of coffee, Diane!” Cooper. That’s not just medium. That’s meta! Aristidou is not the only artist finding inspiration in this non-traditional pigment. 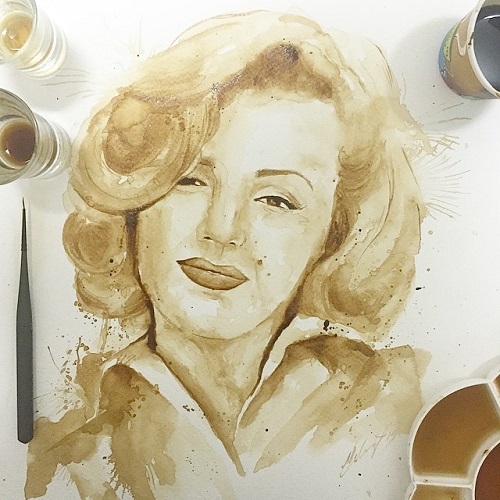 A recent NPR story on the trend cites coffee artists Angel Sarkela-Saur and Andy Saur and Giulia Bernardelli. Scroll backwards to the mid-1800s and you’ll find author---and gifted draftsman---Victor Hugo experimenting with the stuff. Nor was his promiscuous nib a stranger to the artistic possibilities of soot, coal dust, and blood. Aristidou, who holds degrees in Fine Art Printmaking and Arts Health, eschews the traditional artist’s website in favor of social media. Not only is she a master of the hashtag, she also designs cakes. View her complete oeuvre---including several cartons of corporate logo Easter eggs and some recent fashion illustrations that combine watercolor with java---on her Facebook or Instagram pages. Above you can watch Aristidou paint portraits of Einstein, the Beatles and R2D2 in quick time-lapse motion. Oh my goodness gracious, how . . . trivial.